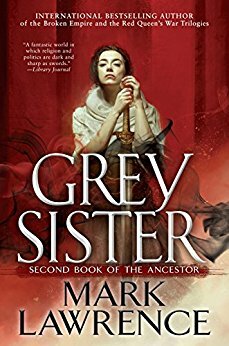 This week's Book Giveaway is Mark Lawrence's Grey Sister, the second installment in his Book of the Ancestor series. I was surprised by how much I liked the first book in this series (so good, despite a lot of stomach-churn-y bits), so I'm looking forward to this sequel. A full review will follow shortly.